Nao Figurine "A Gift from the Heart" from the Love collection sculpted by Francisco Polope in 2007. Porcelain figurine of a young girl holding a heart. 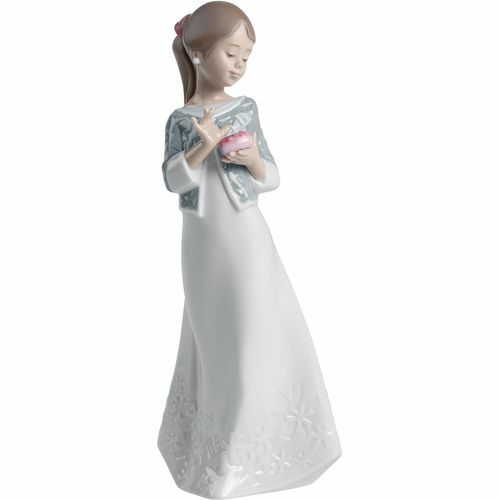 This timeless nao porcelain figurine is an elegant and classy piece, perfect to decorate your home.